You're the right page if you want answer to your question: Can I change my JAMB center after registration? In other words, you want to know how to change JAMB exam centre. A candidate just called me to ask if she could change the JAMB CBT centre given to her by JAMB. Is it possible really? And if so, what can she do to alter it? This is also going to answer your question if you're trying to choose a particular centre for yourself during UTME registration. In other words, if you want to know if it is possible to decide your UTME centre yourself. 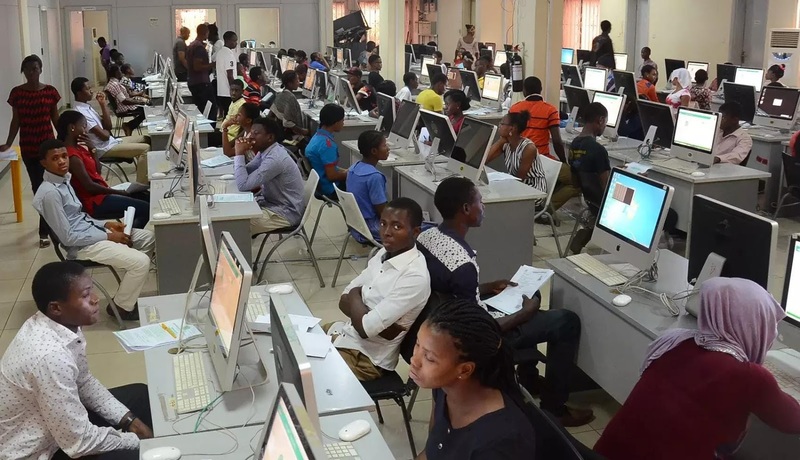 Can Candidate Decide His or Her UTME Exams Centre? Candidates don’t choose the exams centre themselves. All a candidate can do during the registration is to pick a town or city of exams. It’s the JAMB's work to place you to any available CBT centre in that town or city. For example, let’s say there are 8 accredited centers in Ile-Ife. Then, Omolade chose Ile-Ife during the UTME registration for her exams. She would be scheduled to write her test at any of the 8 CBT centres but not a predetermined one. This is straight to understand. If you decide your exams, you can influence the centre and engage in malpractice. The only condition you can predetermined your centre is if you’re already aware that in that town, it's only one CBT centre approved. In this case, JAMB will have no other option than to schedule you to that venue. How Can I Change my UTME Exams Centre? Back to the question of this post. You can’t possibly change your CBT centre after already completed your UTME registration. In other words, since you had chosen a town of exams, you don’t have any effect on your centre any longer. JAMB decides your fate from here. You may be thinking it should be possible if you can immediately return to the CBT and effect change of exams town, thereby able to change the centre. This may come to your thought especially if JAMB has not scheduled you for the exams. What if I go to CBT to change my Exams Town before Exams Schedule is Out? Well, the bad news is that CBT centres don’t have any control over your exams town or centre after submission. What you can possibly change through CBT centre includes wrong subject combinations for UTME, wrong institutions/courses, wrong date of birth, state/local government. Choosing Universities, Polytechnics and Others as Second Choice: Will they Give you Admission? Commerce for OAU Admissions: What is the Real Truth?